Draft and adopt a SCO Development Strategy towards 2025. Achieve political consolidation of the SCO, develop common approaches to international challenges, deepen practical interaction with the leading multilateral organisations and associations, primarily the UN and its agencies, as well as the CIS, the CSTO, ASEAN and CICA, and enhance the effectiveness of permanent SCO agencies. Step up cooperation with the SCO observer states, including in assisting Afghanistan and involving it in the SCO activities, the development of relations with the SCO Dialogue Partners, and the creation of conditions for the SCO’s growth. Strengthen the SCO’s role as an efficient multilateral venue for dialogue and cooperation on regional security, the fight against terrorism, separatism, extremism and drug trafficking, and to implement in practice the international information security cooperation agreements signed between the SCO member states’ governments. Implement the Russian President’s initiative on creating a centre to deal with the security threats and challenges of the member states at the SCO’s Regional Anti-Terrorist Structure (RATS), with assigning anti-narcotic functions to the RATS as the first step in this direction. Launch multilateral economic projects, first of all in transport, power generation, science and technology, and peaceful space exploration, and to put in place an effective financial support mechanism for them. Expand cultural and humanitarian relations, youth exchanges and tourism; to further develop the SCO University as a network of existing universities in the SCO member states and establish the SCOU administration in Russia. 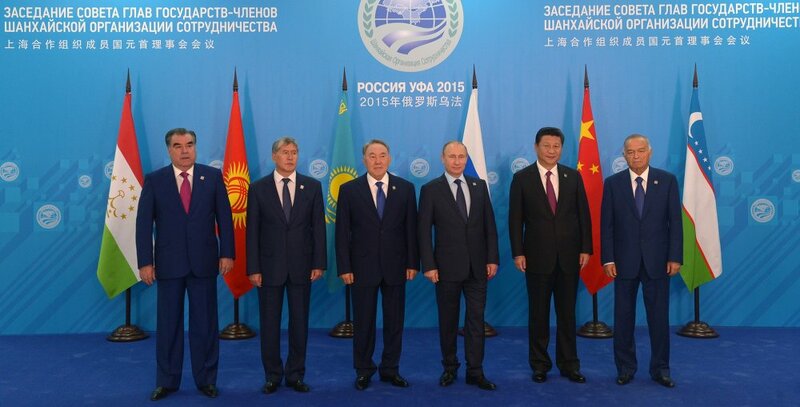 Implement the SCO plan for marking the 70th anniversary of victory over Nazism in World War II. The Shagnhai Cooperation Organisation is a permanent intergovernmental organisation founded on 15 June 2001 by the leaders of Kazakhstan, China, Kyrgyzstan, Russia, Tajikistan and Uzbekistan. 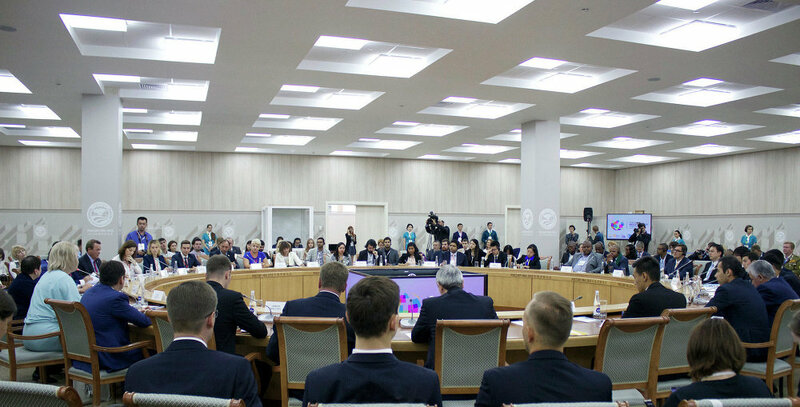 The Secretariat is the SCO’s main permanent executive body responsible for coordination and informational, analytical, legal, organisational and technical support of the SCO’s activities. 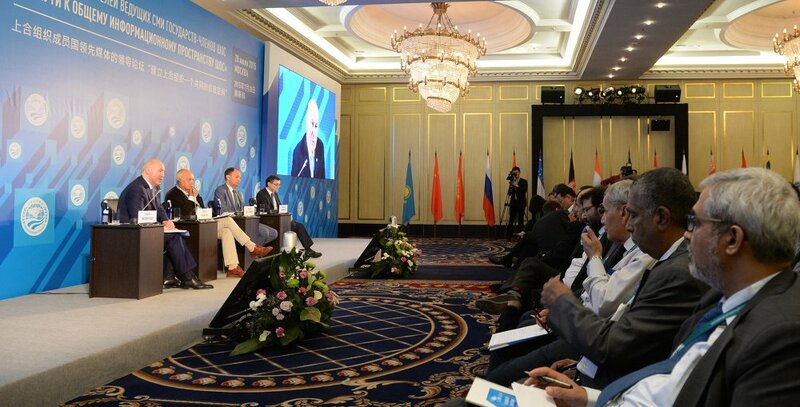 The Executive Committee of the SCO Regional Anti-Terrorist Structure is a permanent body devoted to the fight against terrorism, separatism and extremism.